For us Auckland peeps, a love of cafes seems to be in our DNA. Life is infinitely better with bacon, smashed avo and three rounds of coffee, and there are plenty of Auckland cafes serving up just that. 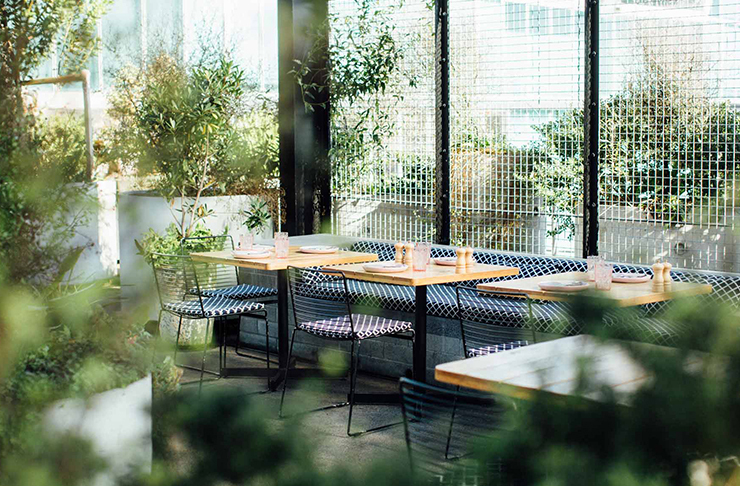 Narrowing down Auckland’s best cafes hasn’t been an easy task, yet here they are—30 cafes you should have been to if you live in Auckland. (P.S. We already feel an Auckland’s best cafes 2.0 list coming on—we’re in love with many more than 30). Auckland cafes don’t come more Instagram worthy than Winona Forever in Parnell. The Eton Rifle French toast isn’t just pretty but it tastes damn fine with their meringue topping. Their cabinet is also an exhibition as these guys take cakes and slices as an art form. 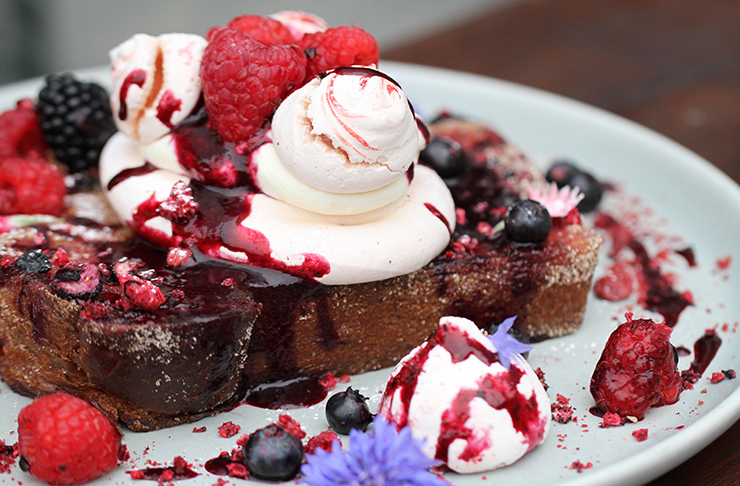 A welcome addition to the West Auckland cafe scene, Rosebank Coffee and Kitchen is where you want to be for French toast so good it's like a piece of art as well as mouth-watering delicious treats. A great inner city café worth hunting down for next level cheese toasties, poached chicken sandwiches and house-made crumpets to add some magic to the classic eggs benedict dish. Rad is exactly what this Mt Eden Café is. Flight Coffee occupies the espresso machine, and they’ve got us hooked on their RAD rolls—Grandma’s Pork Bánh Mì is particularly radical. Point Chevalier newbie, Daily Bread is making waves with their freshly baked goods and perfect execution of simple favourites like their kumara sourdough toast and toppings like house-made Nutella. An iconic Auckland café, Dizengoff is an eatery we’ll never fall out of love with as they never, ever change. Treat yourself to a few rounds of coffee and their infamous half and half. Whipped feta is an art form this café has absolutely mastered. Odettes Eatery also does a killer job when it comes to crepes and they alternated between light vanilla flavours to rich chocolate flavours depending on the season. Any café that coffee arts Angry Bird on their flat whites is a winner in our books. Petit Bocal is a Sandringham fave with a breakfast bruschetta sure to blow your Sunday morning cobwebs away. The owners of Ceremony have moved on to bigger and better things with their new eatery located on Wynyard Quarter, Williams Eatery. Whether you want a treat like their tiramisu brioche or nutritious like their health bowl glazed in a miso dressing, they’ve got it all. This welcoming cafe is situated in the gloriously sun-filled atrium overlooking Myers Park in St Kevin's Arcade. 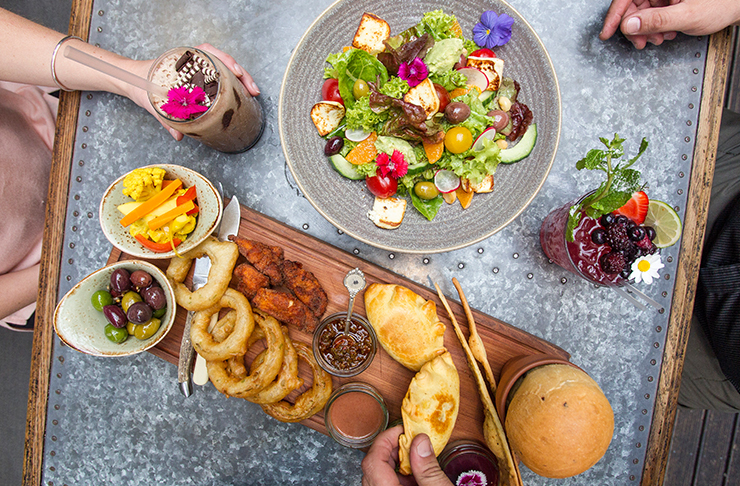 The Bestie menu features the likes of cheese toasties, tasty flatbreads and fluffy hotcakes, home-baked cakes and pastries. Feel like you’re living your best bougie life at The Store located in Britomart with their posh ambience. Not only is the environment 10/10 but their food is absolutely top quality. Their smoked market fish eggs benedict and ricotta hotcakes are not to be missed! A bagel lovers paradise, Best Ugly Bagels pumps out ridiculous quantities of those epic masterpieces, topped with goodies such as P.B.J, cream cheese and tomato house-made chocolate spread and the classic salmon, cream cheese and capers. The classic, however, is the Yodi, pastrami with mustard and melted cheese. 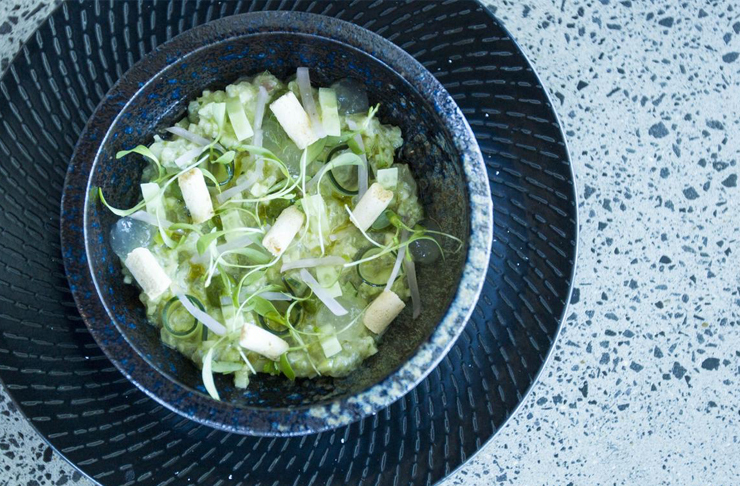 Kokako introduced us to chia bircher and the genius creation known as the breakfast salad. We’ll happily chow down on baby kale, asparagus, poached egg, avocado, tomato and pomegranate if Kokako is making it. 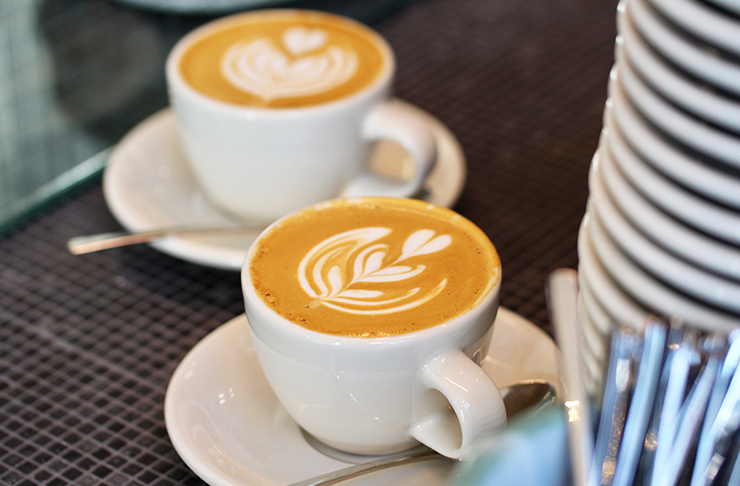 It easily makes our list of one of the best cafes in Auckland! Newly opened in Takapuna, Centro is quickly becoming one of the top cafés on the North Shore for their creative Asian fusion menu and freshly baked goods. You can’t miss out on their custard doughnuts and kimchi fried rice cheese balls. Beautiful food is what Mt Albert’s L’oeuf excel at. Eggs are at the core of most of their dishes (The Nest being their most popular), but there are plenty of options for non-egg lovers. Misters claim that ‘real food’ is their thing, and we believe them. Their bowls—be it breakfast, Jerusalem, Indonesian, French, Italian or Southwestern—are super scrumptious and can be chopped and changes to suit anyone’s tastes or dietary requirements. Misters also make their own beans (of the coffee variety). Embrace your inner geek at this Sainsbury Road café. You would’ve seen their banana granola waffles floating around your Instagram feeds every now and then as this is their star dish. Staying true to the theme, The Garden Shed is decked out in all things garden related. Tuck into shared plates, burgers and delish brunch fare surrounded by shovels, buckets and pitchforks. A wee gem in Avondale, Woodworks is renowned for their homely environment and their menu of a wide variety. Our fave would have to be the shakshuka as it tastes like two perfectly baked eggs drenched in the tastiest pasta sauce. Get a slice of France at this French café with some of the best French onion soup in town. We can’t not talk about L'Assiette's French toast as well as the thick slab of brioche is soaked in sweet syrup. Korean fried pancakes topped with Nutella mousse and Duck Island ice-cream... What are Korean pancakes you asked? Just think pancakes that are crispy on the outside and chewy on the inside. I think it’s safe to say that this Newmarket café is one to put on your agenda for your next brunch destination. With a cult-like following The Midnight Baker in Mt Eden is a quaint cafe that is both minimal and warm and cosy. 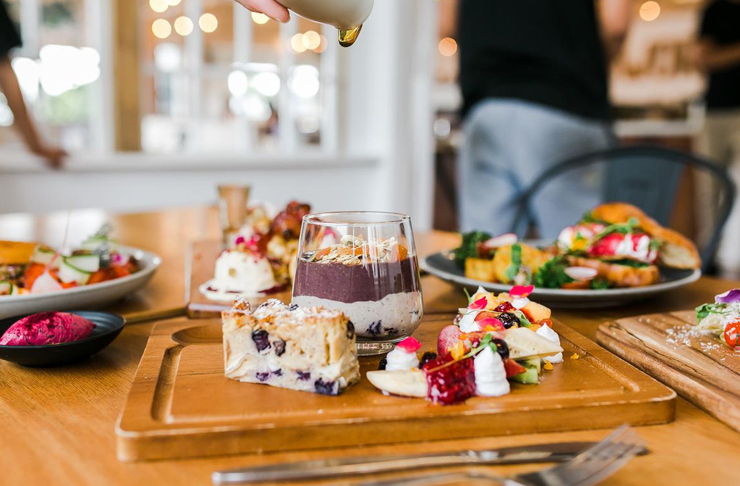 With some of the best toast in Auckland, the menu is 95% vegan with plenty of sweet and savoury options to choose from. If you're looking for the best cafes in Auckland, not to worry, guys—we’d never forget this Auckland favourite. Little & Friday are pros at the baked goods game. Whether you’re a doughnut fiend or need a sammie to go, Little & Friday have got you covered. This café is absolutely buzzing on Great South Road on the daily for their creative menu. Hello Friends + Allies takes classic breakfasts and add their own unique twist to put them on the tenth level. Why have just pancakes when you can have red velvet hotcakes? Why have just eggs when you can get them scrambled in whipped feta and chilli? A gorgeous spot that always nabs a spot on Auckland’s best cafes lists. Its constant busyness is a confirmation that St Heliers Bay Café & Bistro is one of the best places for breakfast, lunch or dinner (or all three). Make sure you have at least a bite of their smoked fish folded eggs (steal some from the next table if you have to)—they’re stellar. Many Aucklanders have experienced the dinner menu of this top restaurant but you need to get amongst their breakfast menu and morning pastries. Whether it’s an almond croissant with a coffee or their charred capsicum and mozzarella omelette, Amano always serves pure perfection. Parnell’s food scene isn’t complete without this eatery. The previous owner of Dear Jervois, Ben Gusto and Little Kings is one of the masterminds behind this café so it’s guaranteed to be good. Check the Korean fried chicken, you’ll never go back to regular chicken again. This Henderson hub provides arguably the best big breakfast plate in Auckland. They don’t stop at just bacon but they add juicy chorizo sausage and fried gourmet potatoes and grilled tomatoes on the vine. This Newmarket café takes lunch to a whole new level with the mixing of their ingredients. Their arancini balls are the best in town as it’s complemented by truffle, smoked mozzarella and parmesan crème. Another haven of wholesome yet wickedly tasty food is Mondays. Founded by two food bloggers, Mondays is a must when lunchtime rolls around. They’ve turned us into savoury waffle people with their spinach, mozzarella and parmesan version. These Auckland Cafes Are Getting Dog Menus!